This is the second post in our series that sounds far more gruesome than it is! Die cutting may sound like a cruel form of torture, but it is in fact a print finishing technique. Die cutting is a process used to cut shapes from paper, cardboard, plastic and many other materials. From business cards to food packaging and labels, most printed items that we come in contact with every day have some form of die cutting. The next time you are running around the supermarket have a look at all the different shapes that can be created by die cutting. 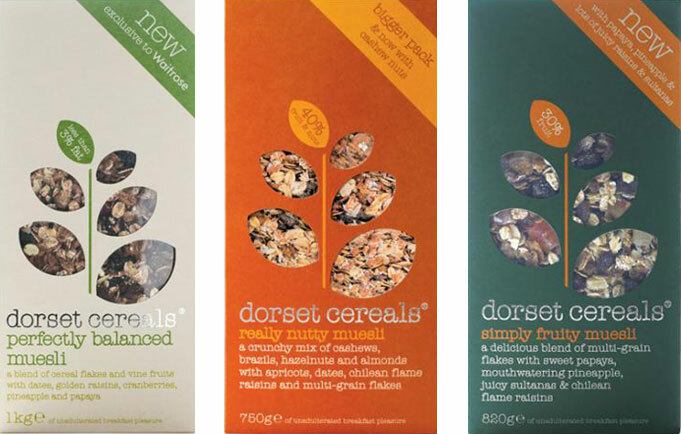 Die cutting used very effectively on Dorset Cereals packaging. To create a die cut, a cutting forme has to be made first. These formes are made from sharp metal blades which are bent into the required shape and mounted to a strong backing, which is usually wood. The material being cut is placed on a flat surface, and the die cutting forme is pressed onto the material to cut it. The first image shows a die cutting forme for a box, the second shows the shape created by a die cutting forme. 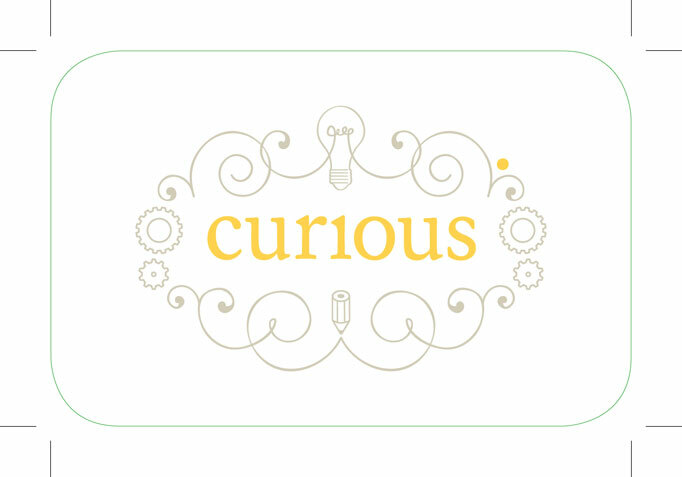 To show where a design needs to be die cut, designers use specific colours on their files to show exactly where to cut. These coloured outlines are called keylines or die lines. 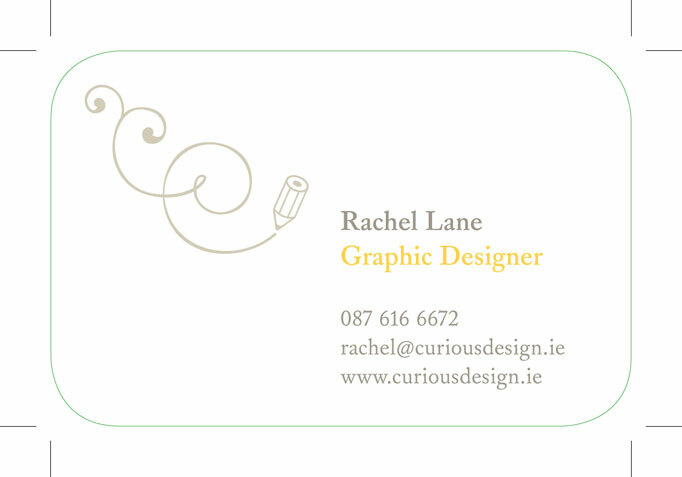 We used die cutting for our curious business cards to create smooth rounded corners. 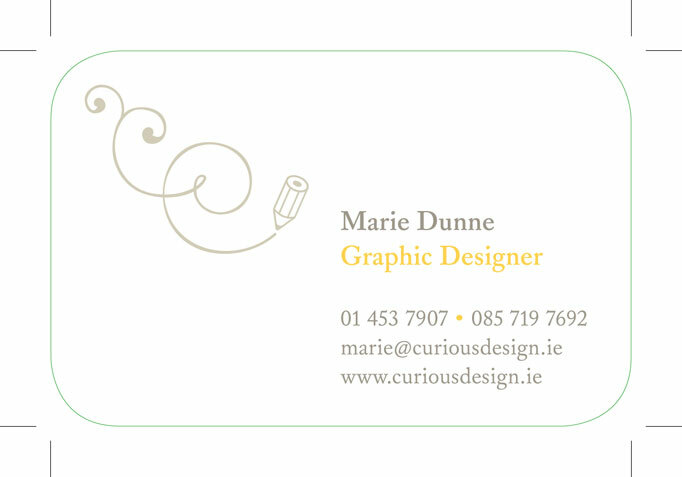 The images below show the keylines for our business cards. We colour our keylines green. If you would like more information on die cutting or other print finishing processes get in touch – we’d be happy to advise you! Posted on July 20, 2011 by rachel	This entry was posted in blog, design a-z.